Ta da! Drumroll! 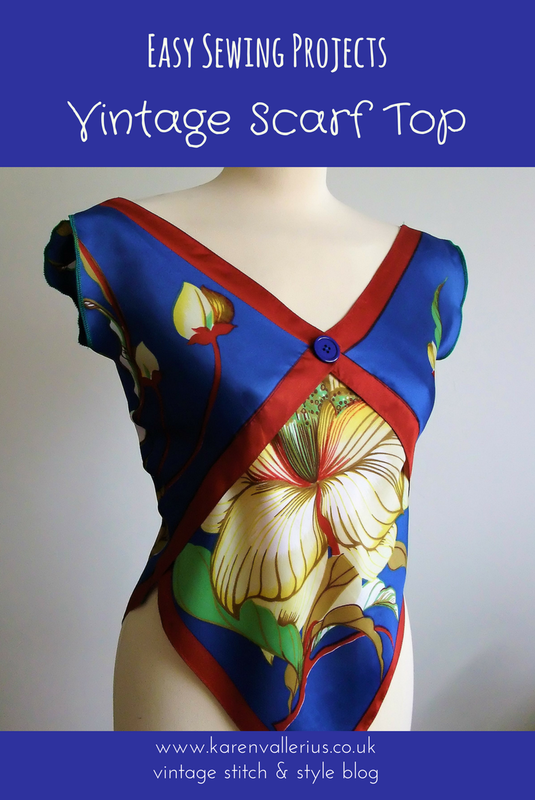 Very happy to present the first PDF worksheet in my range of Easy Sewing Projects - my Vintage Scarf Top! This has been my most popular blog post by far so I have created a pdf worksheet with instructions and picture directions so that you can make your own. (Click on the link here to take you to the worksheet). I was thrilled to be contacted by the charming deputy editor of Dressmaker magazine who had seen this blog post and wanted to feature the scarf top in the January 2017 edition of the magazine in a feature on Second Hand Sews. This is a lovely magazine with heaps of sewing features and includes some lovely patterns each month, a great way to build up your sewing pattern library. Lovely design and very authentic to the time period. Thanks, I love 1930s designs and was pleased how I managed to incorporate the bias cut into this top.